Maldives – Atoll of islands dispersed in the Indian Ocean. 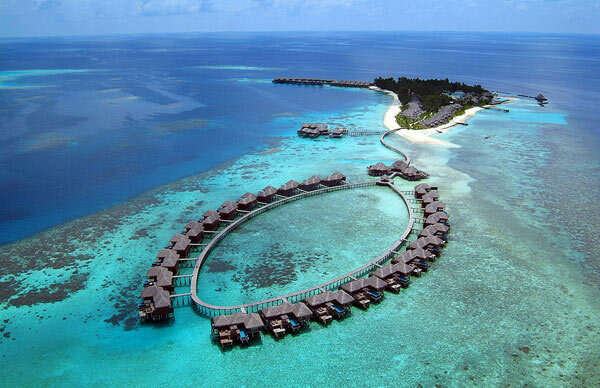 The island paradise of Coco Palm Bodu Hithi is located in North Male Atoll in the beautiful Maldives. The island is rich in vegetation with naturally designed sandy walkways and coconut trees, edged with white sandy beaches, turquoise seas and isolated sand banks. The ambience of the island is enchanting for even the most discerning of guests. 100 designer villas and suites offer a new choice of distinctive and spacious accommodation in the Maldives, fusing contemporary and tropical influences. Every villa offers indulgent bathrooms, with designer fixtures and luxury amenities. The Island Villas offer a large open-plan space featuring a spacious bedroom, en-suite dressing room, contemporary bathroom with a central bathtub overlooking the ocean and two showers (indoor & outdoor). Outdoors, the villas offer a private courtyard with a pool and day bed, a relaxation area and a private sundeck with lounging and dining areas. Coco Spa at Bodu Hithi leads a path to rejuvenation and opens the gate to the spirit. The stunning spa sits over crystal waters and features private treatment rooms each with its own pool, bath or relaxation deck. Talented therapists offer a large array of treatments from Indonesia, Thailand, India and tailor-made healing treatments for mind and body, while enjoying the views of the Indian Ocean. A collection of Ayurvedic inspired luxury skincare products and treatments will help you find your individual sense of wellbeing. Coco Spa also features two Yoga pavilions and a fully-equipped fitness space over the water, offering a choice of daily classes.